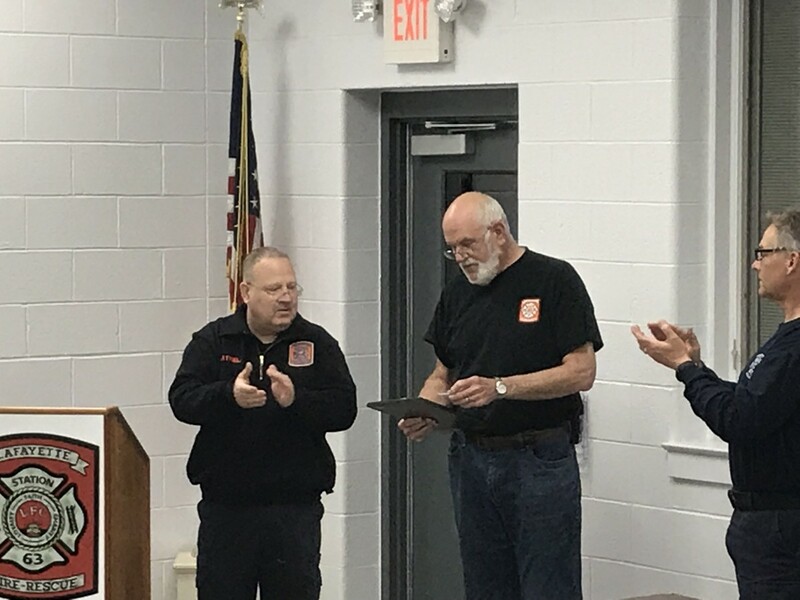 At tonight’s monthly business meeting, several community and company members were honored for their service to the Lafayette Fire Company. 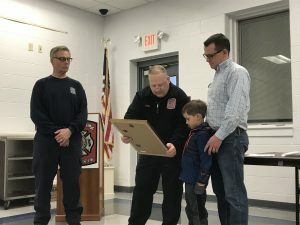 The first appreciation plaque was given to Jack Reedy and his father, Alex. 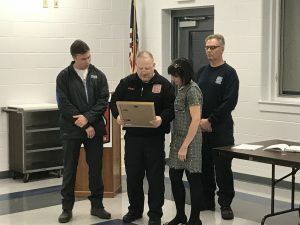 Back in July of 2018, Jack, his father, his Mother, Joanna, and his sister, Lily, donated some reconditioned bed frames to the fire company to help us complete our bunk room. Jack was made an honorary member of the LFC and tonight he was presented with an award for his kind gesture. There is no way our overnight duty crews would be possible without the Reedy’s assistance. 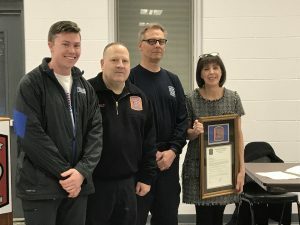 Next, Linda Kosich and Nicholas Pray of Homestead Funding were presented with an appreciation plaque for their effort in coordinating the day of giving in December of 2018. They were able to help us obtain station supplies donated by our community members. We are truly grateful for the work they did for this event. After these two presentations, we moved to recognizing four of our own members for their contributions to the company. 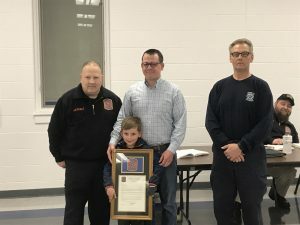 We first recognized member, Nick Rhinier for his Duty Crew activity level in 2018, we then presented Firefighter Dylan Leed with his 5 year pin. 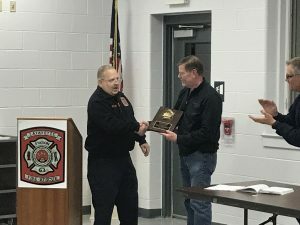 Lastly, we presented Treasurer Rick Kurtz with a plaque to recognize 40 years of active service. After that, we recognized Howard Hershey for 50 years of active service. 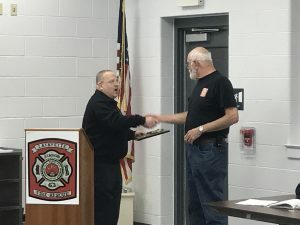 Both Rick and Howard have been staples in our fire company with a combined 90 years of service. We cannot say enough how much we appreciate the commitment and dedication these two men have given us and the community we serve!